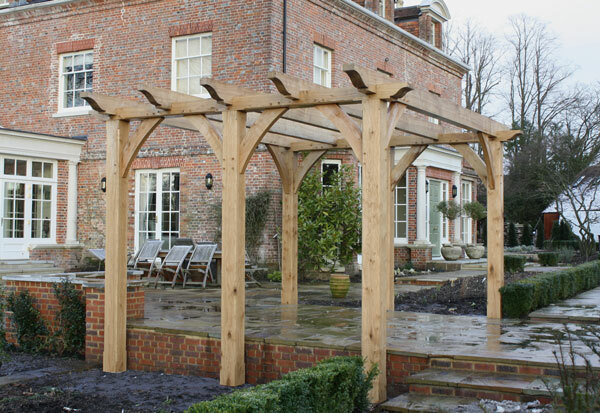 Oak is an exceptional building material to construct large timber frame structures. Coming from a sustainable source, it is more relevant today than it ever has been. Its natural beauty increases with age and lasts many lifetimes. The some hand crafted methods we use have barely changed over the centuries, we use the best new craft techniques also. 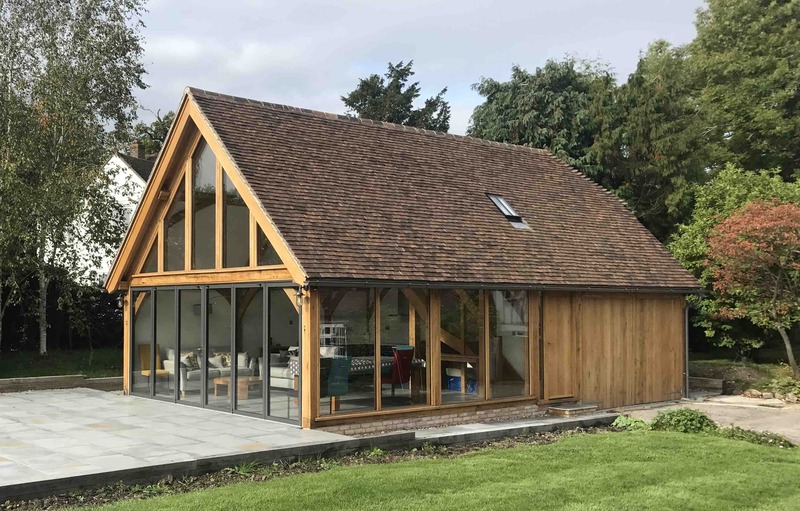 For designing some structures we often refer back to centuries old oak frame architecture, to help design structural joints that can last over several hundred years. 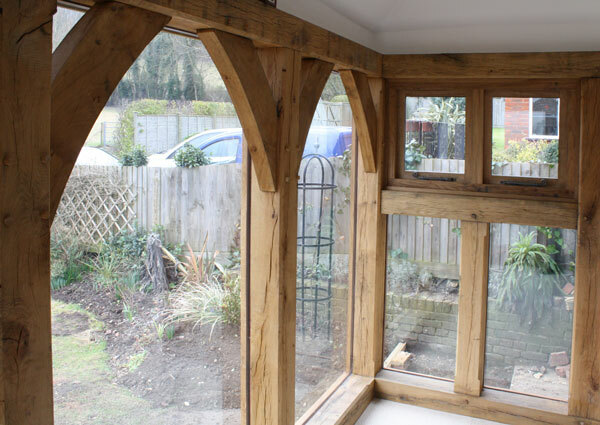 We can build bespoke oak frames in a modern contemporary style, or in a traditional style, for many different purposes; houses, extensions, barns, outbuildings, garden pergolas. The handmade jointing methods, crafstmanship, attention to detail and accuracy, is guaranteed with every project. Trees absorb carbon dioxide and locks it into the fibres, it will not get released until it is burnt or until it decays. Which in some cases, if looked after correctly, over 1000 years! The amount of energy needed to extract timber from a local source and bring it to use (embodied energy). Is 120 times less than steel and 650 times less than aluminium. It is natural, biodegaradeable, and does not have any toxic substances involved to process it to be a useable material. There are natural oils and tannins in wood that preserve it from decay. 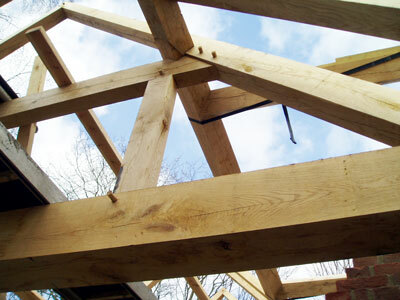 We actively advise our clients to avoid the use of unnatural toxic substances to treat timber. It is unpleasent to work with treated wood and is simply not common sense to have unnecessary toxic substances in the home or workplace. A study by English Heritage has proved that toxic timber treatment is actually more damaging than it is preserving.